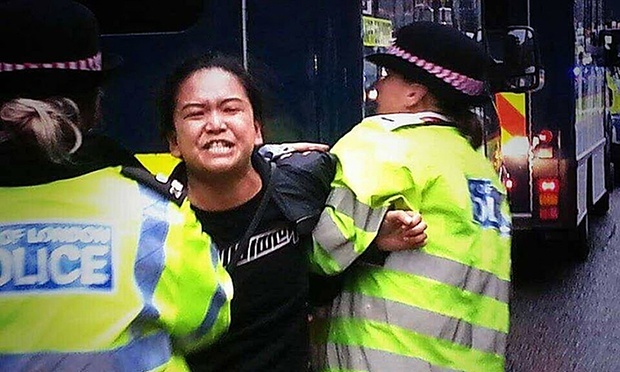 (TibetanReview.net, Oct25, 2015) – Apart from arresting them on Oct 20 for protesting against the visiting Chinese President Xi Jinping with waving of Tibetan flags, the Met Police of UK’s capital London have raided the homes of Tibetan women Sonam Choden (31) and Jamphel Lhamo (33) and charged them with conspiracy to protest under the country’s Public Order Act 1986. 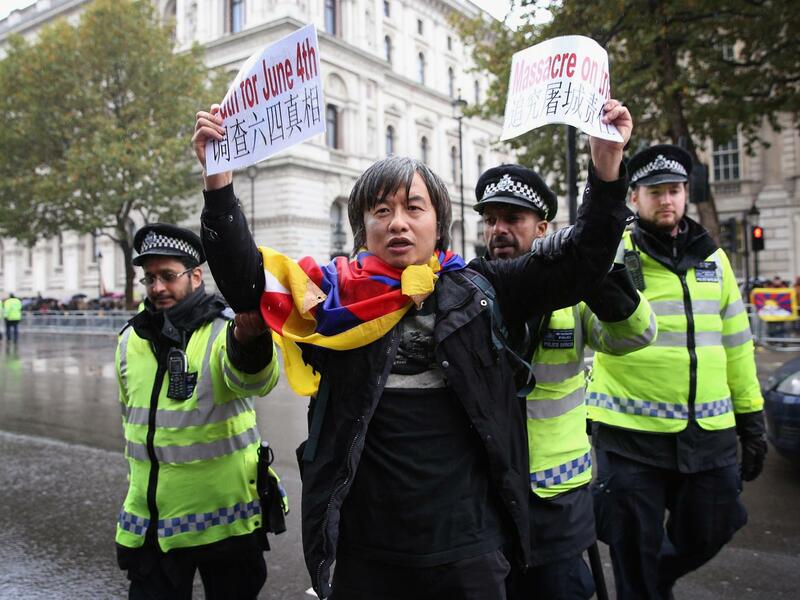 London-based Chinese democracy activist Shao Jiang, a survivor of the 1989 Tiananmen square massacre and who was also arrested on Oct 20, too had his home raided. Police were reported to have taken away mobile telephones and computers from the homes of the three arrested persons. Nash has suggested that police arrested the two women for what was at best only a “minor public order charge” with a “conspiracy to protest” charge under the relevant act because it allowed police to detain the protesters overnight and search their homes. Amnesty International called the police’s actions “very heavy-handed” while the Met insisted that the suggestion it was doing anything but regular police work was “wrong”, reported bbc.com Oct 23. “The video that has emerged looks like a very heavy-handed response to a peaceful demonstration,” the report quoted Allan Hogarth from Amnesty International as saying. 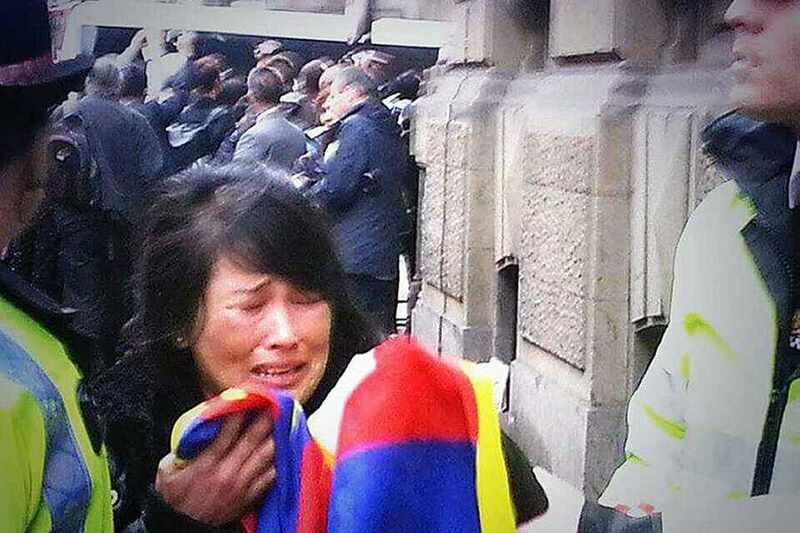 Shao and the two Tibetans were charged with public order offences and released on conditional bail, said the DPA report.